One of the best things at a US airport is the shoeshine stand. If it is manned. In San Antonio, the weekend and holiday morning shift usually has a young kid working his way through school. Or planning to go back to school. Interesting guy. 7 minutes per shine. He had a business making food for athletes, but could not do the selling (to build pipeline) as well as the prep. So one day the pipe was empty and he had no income. He has spent 18 months doing the shoeshine shuffle, and is gearing up to restart his business, better financed. 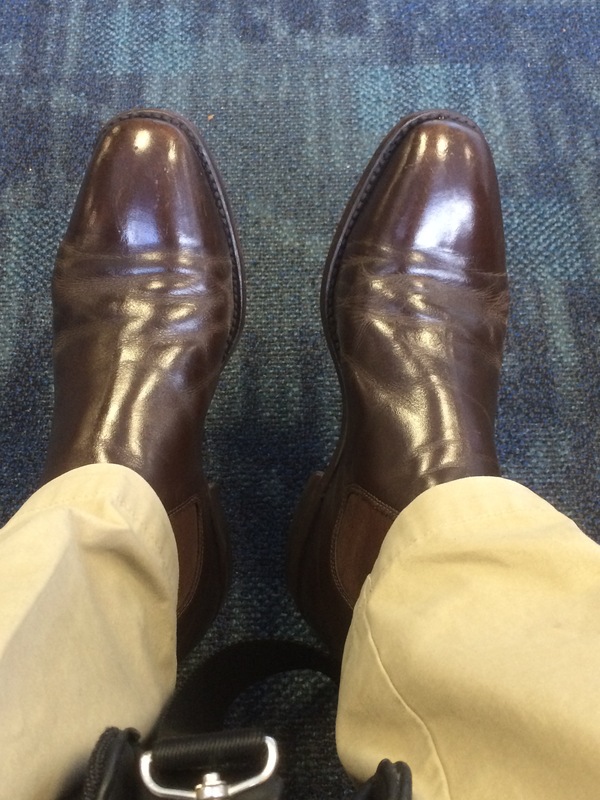 This entry was posted in Economy, Pics, Random and tagged SAT, SFO, shoeshine. Bookmark the permalink.